sinned in the Garden of Eden. Let's examine some contradictory teachings. Images are found here and here. p. 89, online, image, local copy). that Adam and Eve had to do" (Pearl of Great Price Student Manual, p. 13). 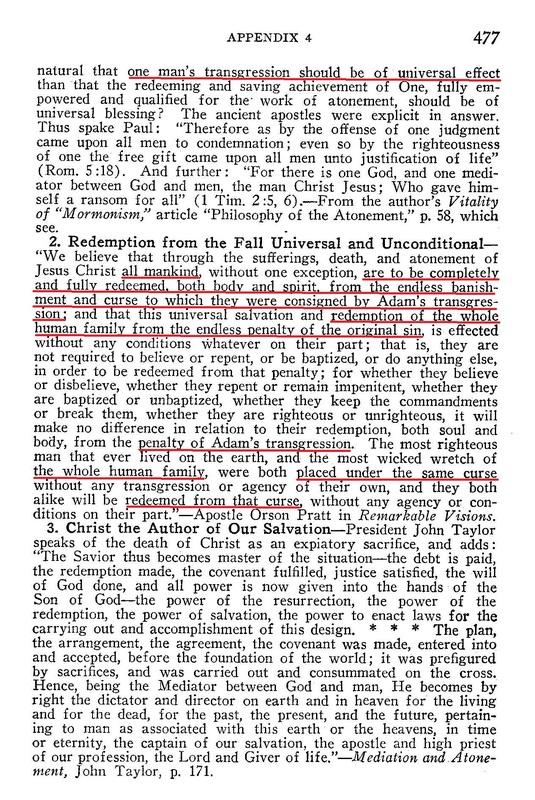 of Adam, but not the sin of Adam" (Mormon Doctrine, p. 804). Teacher's Manual - Lesson 3 - The Fall of Adam and Eve, image, image). 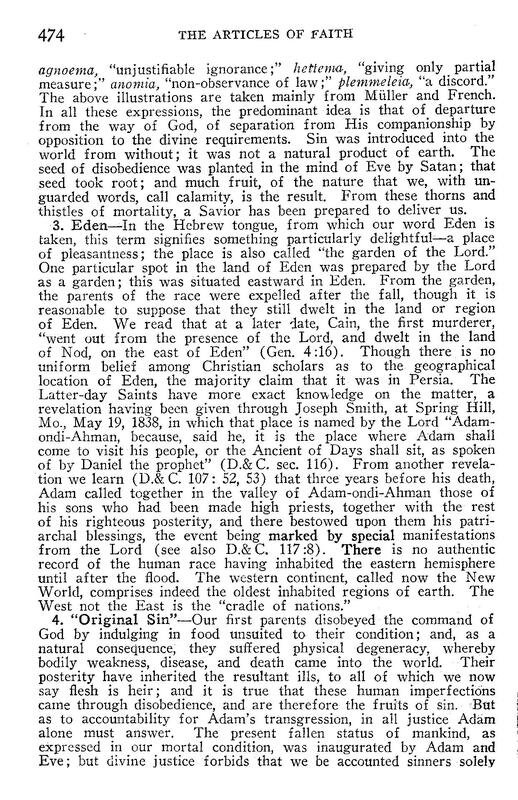 exaltation were based" (Ensign, "A Testimony of Christ", November 1974, online, local copy). Adam and Eve", June 2006, pages 8-9, online, local copy). removed this part in her current version). Happiness", November 1993, online, local copy). President Joseph F. Smith, page 528). 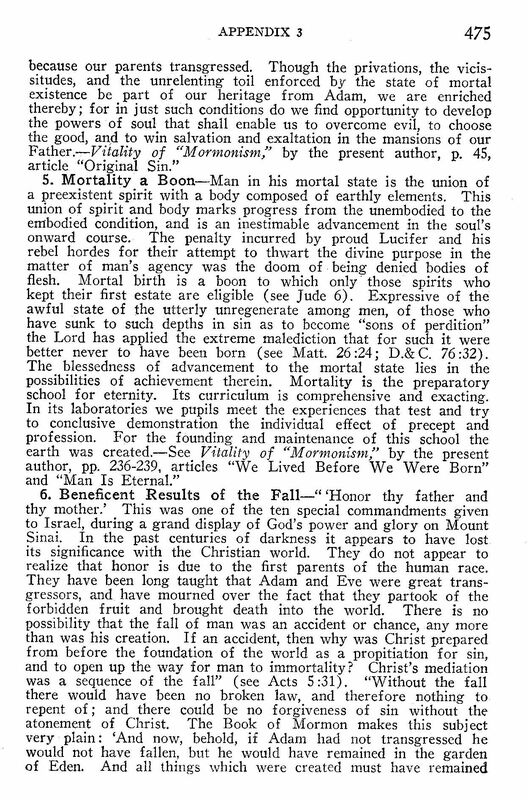 immortality for all men." (Ensign, "What Think Ye of Christ? ", November 1988, online, local copy). Quite possibly, the most authoritative source is the Doctrines of Salvation. that all mankind was also cursed by Adam's transgression. 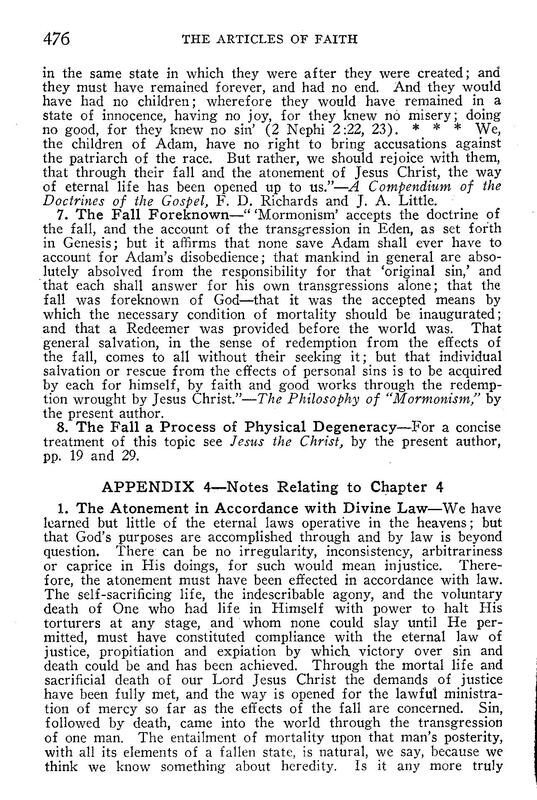 Latter-day Saints must really get confused when they look at all these contradictory Mormon teachings. to disobey Him so that He could give them great blessings (as Gospel Principles refers to on page 33). Strangely enough, Doctrine and Covenants 130:20-21 says that all blessings are predicated on obedience. in infancy needs to be reclaimed from this cut off state through the atonement of Christ. of Christ. Even adults are cursed in this way. children die because they have this stain of sin. made righteous” (verse 19). Adam's disobedience made us sinners. men will be punished for their own sins, and not for Adam’s transgression" (True to the Faith, 2004, pp. Mercy and Justice for an in-depth explanation. Some screen prints are included in the Sin of Adam.